I’m still excited about the budding alliance between the United Steelworkers (USW) and the Mondragon Cooperatives – and the general awakening consciousness about worker co-operatives and co-operative business in general that I wrote about last month. In addition to the Mondragon/US Steelworkers agreement and the worker co-ops featured in Michael Moore’s new movie, she says, “Rousing examples abound. CNN Money recently profiled six worker-run businesses including Pelham Auto, whose mechanics have cheerfully fixed every car I’ve owned for the past 20 years.” One of the companies CNN profiled, by the way, is South Mountain. I have found that even the socially responsible business movement, to my ongoing surprise, pays little attention to true workplace democracy. But she does, at least, find a little research – or maybe it’s just opinion. Mostly it’s about the troubles – or potential troubles – with employee ownership. One of these is that worker-owned and managed companies, with more complex goals than maximizing profit, tend to be less growth-oriented than other companies. I want to say more about the USW/ Mondragon agreement. The Mondragon initiative is not the first innovative Steelworkers alliance. In the 1990s, the USW helped found the Blue-Green Alliance together with the Sierra Club and other environmentalists and they have been involved with Van Jones’ Green For All. And now, if this new alliance works, it might make a system of worker-owned enterprises assembled with the purpose of a green restructuring of the U.S. economy. That could be a powerful force. The USW-Mondragon collaboration grew out of a ‘green industrial revolution’ project that created a partnership with Gamesa, a Spanish wind turbine firm, to retrofit abandoned steel plants in the U.S. (40,000 U.S. manufacturing facilities have closed since the beginning of the current economic crisis) and produce wind turbines (there are 200 tons of steel and 8000 moving parts in every large wind turbine). Gamesa’s connection to nearby Mondragon brought the USW and the co-operative giant together. While this historic business alliance gives hope to the possibility of reviving manufacturing (and the communities that have been devastated by the losses), there is also congressional activity coming along to support employee ownership. 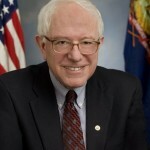 According to the Vermont Employee Ownership Center, Senator Bernie Sanders of Vermont will introduce two new bills that would seek to expand employee ownership in the United States. The first, the Worker Ownership, Readiness and Knowledge (WORK) Act would create an Office of Employee Ownership and Participation within the Department of Labor to promote employee ownership and employee participation in company decision making. The second bill, the U.S. Employee Ownership Bank Act, would provide loans and loan guarantees to employees to purchase a business through an ESOP or a worker-owned cooperative. On the eve of the Copenhagen meetings, this collection of related activity is heartening. Perhaps the most important thing about the expanding co-operative business movement, in the long run, may be as an avenue to the large-scale collaborative alterations to the architecture of the economy that will be necessary if we are to successfully tackle the challenges of climate change and the post peak oil transition to come.